If we are ever to build wealth for financial independence then we must first get to the point where we are spending less than we earn. The remainder after spending are the savings which can then be invested wisely for early retirement (or whatever cause you are looking to build wealth for). To maximise our savings (hence accrue the amount of wealth we require in the shortest possible time for a set investment risk) we should first take all the earning more and spending less opportunities available to us that take little to no extra time. On the earning more side this could include asking for a salary increase if you employer is paying you less than the market rate and on the savings side it could be living in a home that is well below what you can afford, not grabbing that Starbucks on the way to work, having the lowest price grocery bill or even taking on a cheaper mobile phone plan even if it means you don’t get the latest smart phone to name but four. Once you've done that you’re now at the point where to increase your savings rate you need to start expending more time and energy. On the earnings side this could be working paid overtime, working free overtime if you think it will give opportunity for higher earnings later, looking for a new job that will better recognise your current skills and hence pay you more, undertaking training which will arm you with more skills to enable you to earn more or even developing a side hustle job to bring in a little extra cash. On the spending reduction side it might include learning how to and then making your own cleaning products, growing some of your own fruit & vegetables or even mending your own clothes. To achieve a savings rate of 60% of gross earnings I know that personally I have taken all the earn more and spend less no extra time opportunities that I can think of plus I am expending huge amounts of time and energy on earning more. I am also devoting some extra time to spending less but this area is certainly not maximised as both my living conditions (a small London based rented flat) plus earning more efforts filling the week restrict this somewhat. The question is does this philosophy generate maximum savings or should more time be spent on spending less? This site is all about fact based analysis and so let’s run some simple numbers to find out. Average Joe and Average Jane both earn average gross salaries of £24,509 (an average of the average weekly earnings over the past year multiplied by 52 weeks). After tax they are both left with £19,484 and without expending any extra energy have found ways to reduce their annual net spend to £15,587. This means their savings amount is £3,897 for a savings rate of 20% of net earnings per annum. They both invest in a simple low expense, low tax portfolio except to make the maths easy we’ll assume their asset allocation is constant at 60% UK Equities and 40% UK Gilts and they only make the investment at the end of each year. Investing this way should result in a real inflation adjusted return, after allowing for ETF expenses, of 5.2% per annum. 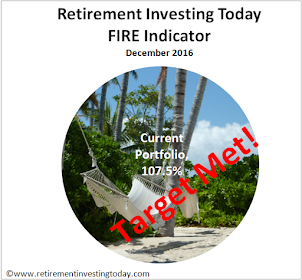 This portfolio should also result in no tax being payable in retirement. 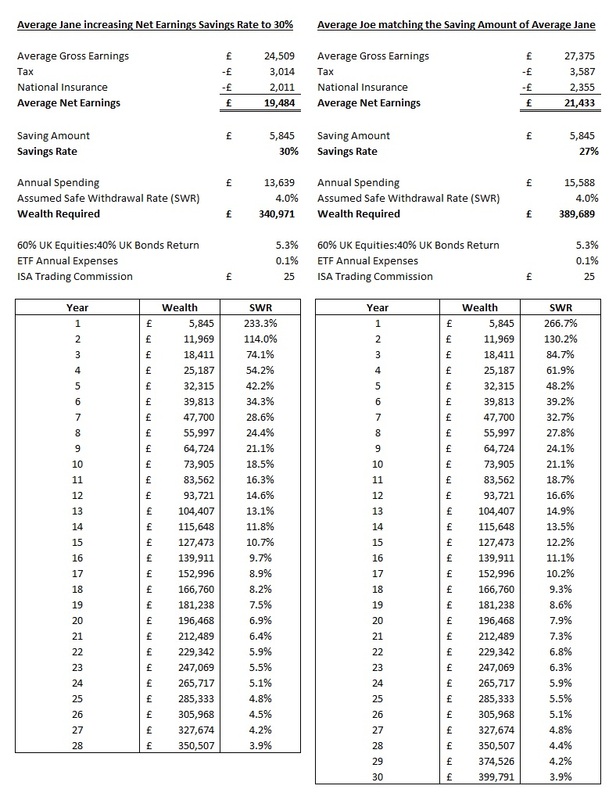 To calculate how much wealth they both need to accrue before they can retire we’ll assume they are going to use the 4% rule (which of course isn't a silver bullet) resulting in the need to accrue 25 times their net earnings, £389,681. This is all shown in the summary below. Running the numbers results in both Jane and Joe accruing enough wealth to retire in 36 years. Both Joe and Jane don’t like the sound of that and decide they are going to increase their saving amount by 50% to £5,845 per annum in an attempt to reduce that timeline. Jane decides to do it by expending additional time and energy to reduce spend while Joe decides to continue to spend the same but instead increase his earnings. The result is that Jane reduces her timeline from 36 years to 28 years. Joe on the other hand, even though he too still saves £5,845 per annum, can only reduce 36 years to 30 years. This is summarised below. Why the difference? The key is that because Jane has found ways to spend less she now only needs to accrue a retirement pot of £340,971 while Joe still needs to accrue the original £389,681 and so with the same savings amount and investment returns Jane must reach her target earlier. Secondly Jane’s approach is fully within her hands as she alone can find the savings needed. Joe on the other hand has to find 12% more earnings which may or may not be possible without external events occurring that are not fully within his control. "Investing this way should result in a real inflation adjusted return, after allowing for ETF expenses, of 5.2% per annum." Or about 2% p.a. as Credit Suisse predicts. In the interests of full disclosure the 5.2% was constructed using data from Tim Hale's book which suggests that over the historic long term UK Equities have achieved a real return of 7.3% and UK Bonds have achieved a real 2.3% less 0.1% for expenses. Of course past returns are no indication of future returns and banks with vested interests also have no idea of future returns. Can I re-write the ending? In pursuit of more earnings Joe takes more risks - he moves jobs and aggressively seeking new career opportunities as well as working really hard on his deliverable. Despite a few defeats, in 15 years he succeeds and finds himself as MD in a major bank with 10 time increase in compensation. - salary changes with experience, so at which point of the career would one calculate 4%? On a more serious note a couple of clarifications in response. "...at which point of the career would one calculate 4%?". I personally set my desired retirement income when I set-up this journey back in 2007. I then uplift that set income by inflation every year. This then sets the amount of wealth I need which also increases with inflation each year. To make this work I have then not increased my standard of living as I have received income increases/promotions but instead used that extra money to accelerate my Savings Rate. This strategy then means that my retirement income is a sum I can live off comfortably even some 6 years later. In fact it's significantly larger than I live on today. - If I'd never been promoted I may never have sought early financial independence as I really enjoyed what I was doing. I also wouldn't have been able to achieve the extreme early financial independence I'm chasing. - By being promoted into jobs I enjoy less and less I get higher earnings. I'm therefore searching for a way out where I can do something more satisfying. The less satisfying job gives me that opportunity as I now have the high savings rate. "If I'd never been promoted I may never have sought early financial independence as I really enjoyed what I was doing. 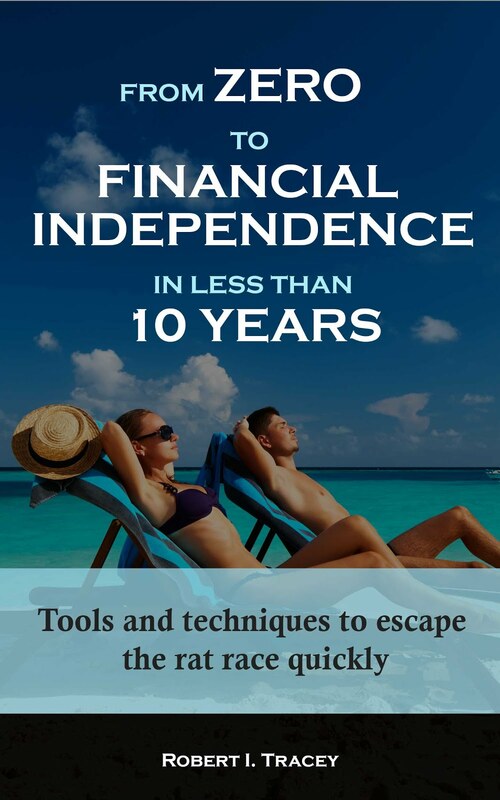 I also wouldn't have been able to achieve the extreme early financial independence I'm chasing." If my reply came across as though I wasn't happy then I apologise for the miscommunication. On the whole I am very happy with my life and the journeys I am on. I also feel that I am incredibly fortunate compared to many. I'm just always analysing every element of my life to try and improve it. The promotions have led to less work satisfaction but have helped with greater levels of satisfaction elsewhere. My aim now is to increase enjoyment during "work time" while maintaining "out of work time" happiness. Got it. No need to apologise. So, going back to the story - it seems Joe's choice is the way to go, no? "Something like, invest into your career and when you have X (10?) years to retirement, start aggressively saving..." This is where I now opt out as my work is done. I've provided the maths and some food for thought. As everyone's situation/opportunities will be different it's now time for readers to do their own research and choose their own path. As I mentioned above I'm taking all the spend less/earn more opportunities I can think of that take no extra time. I'm also devoting many many extra hours to earn more but only a small amount of time on spend less. I've improved on it but essentially been on the same path since I started down this road in 2007. K (+ other readers), I'd be interested in what your path looks like? "Of course past returns are no indication of future returns": then why on earth do you invest in equities? This is all very interesting to us as newbies, we are both in our mid fifties. Resident in NZ. We are freehold and have managed to save a reasonable sum but our biggest issue is in the investment area. We have spoken to several investment advisors but we leave feeling that all they are doing is peddling a 'product' rather being constructive to our cause. How do you go about making your investments? Thro' a broker or what? where do you get your info from? any suggestions would be appreciated. Your conundrum sounds very similar to my own back in 2007. I chose to go DIY, made some mistakes, made plenty of good decisions and some 6 years later don't regret any of it. All of your questions from my own perspective are answered within the 300 odd posts on this site which is fully detailing my path to retirement. To save you some time you might want to work through the tabs below the main site banner above which focus on the most recent material as well as what I feel is some of the most important. The 'My Low Charge Portfolio' tab documents my Strategy, Portfolio, Performance and methods I'm using to minimise tax (which is UK focused). The 'Popular Posts' tab details a number of principles I believe just about anyone could use to chart a path to retirement. It's loosely based around 3 steps - save hard, invest wisely and retire early. Of course you also shouldn't trust me (nor any other site on the web) and always DYOR. I'd steer you to some quality reads which really have changed my life. These can be found under the 'Books that Helped Me' tab. If you like what you read you might like to sign up to my email or follow me on twitter for all the latest posts. I wish you much success.